All Ladies League, Kolkata Chapter organised a truly stimulating and nostalgic session to commemorate the 96th Birth Anniversary of the legendary film maker, Satyajit Ray at the JW Marriott Hotel, Kolkata. 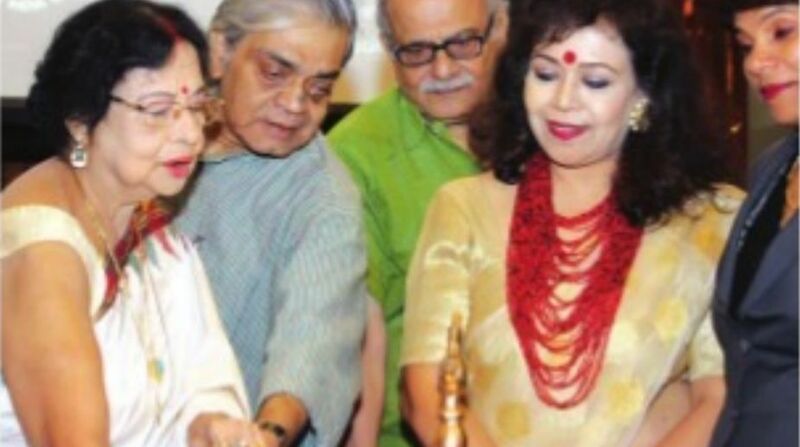 Appropriately called the “The Magic of Ray”, the event drew spontaneous and whole hearted participation from not only the members, but also renowned names from the world of Bengali cinema. This is the world’s largest forum for women, comprising 50,000+ members from 500+ Chapters, spread across 150+ countries, singularly working at enhancing women empowerment. As part of this dynamic world fraternity, this, too is dedicated to promoting, involving and inspiring interactions and events that could motivate fresh ideas and innovations, for a better tomorrow for all. “Satyajit Ray has been an icon of Indian cinema and a source of inspiration for many. It was an honour to commemorate this occasion at our property, and paying homage to his work along with the team that has worked with him so closely, who are present here today,” said Ranju Jha Alex, general manager, JW Marriott Kolkata & MPVP East. The guest of honor invited for the evening was Satyajit Ray’s own son, the versatile Sandip Ray — writer, designer, film maker, music composer and editor par excellence, who accompanied by wife, Lalita Ray, shared some of the fond memories of their father/ father in law and one of the greatest filmmakers of the 20th century. The event was the brainchild of Nilaanjana Chakraborty, chairperson, ALL Ladies League, Kolkata Chapter.